The Duke University Marching Band is proud to represent the university both on campus and around the country as a spirited supporter of Duke Athletics. Comprised almost entirely of non-music majors, our members have a great time putting on shows and getting the crowd going by playing University favorites! If you want to learn more about joining the Duke Marching Band, please visit our Prospective Members page and fill out the information request form. Interested in joining the 2018 Duke Marching & Pep Band? Join the 2018-2019 Facebook interest group or click here to request information. Check out our schedule for the upcoming season! HERE! If you have questions, please e-mail your section leader or the director, Jeff Au, at jeffrey.au@duke.edu. 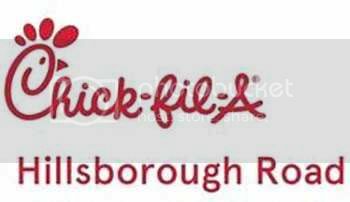 Thank you to Chick-Fil-A Hillsborough, Saladelia, and Duke Stores for their continued support!